Lake Elmo, MN client called Innovative with complaints of water in basement, specifically noticing water where the walls meet the floor. Client had researched our company and products and was very interested in our high efficiency, powerful SaniDry dehumidifier. System deisign specialist, Nate Wendorf, visited the home and made several recommendations. 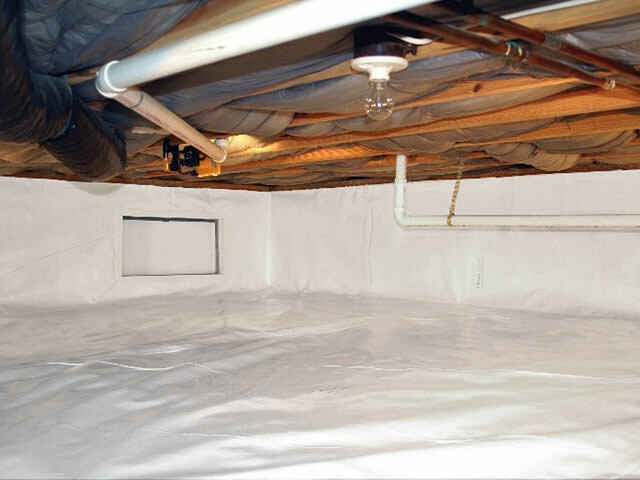 Installation of a WaterGuard drain system, TripleSafe sump pump and SandiDry dehumidifier were completed. Client no longer has water issues and is very happy he made the call to Innovative! Our garage floor has sunk towards the inside wall so water pools in the middle of the floor whenever it rains. We will be available to schedule an assessment the week of September 4th or 10th. The front sidewalk is split and cracking. The back yard walkout concrete is coming up, unstable. Our concrete is poured pebble stone I think that's what it's called. I don't want to replace it. I want it to be fixed. The Basement - Bowing in on the east side of my brothers home. A new waterproof ceiling installed. The old ceiling as been removed and ready for our new system to be put into place. After visiting our booth at the MPLS Home & Garden Show, homeowners from Lake Elmo, MN, took advantage of our free estimate for concrete lifting. System design specialist, Keith Hansen, met with the homeowners and inspected their areas of concern. Keith consulted with them on how we inject PolyLevel foam for concrete lifting (PolyLevel polymer consists of two separate liquids that are combined right at the injection nozzle to trigger a chemical reaction that turns the blended ingredients into expanding, high-density foam. The foam flows into voids and between loose soil particles, expanding to about 15 times its initial volume. This expansive action effectively lifts settled concrete. An experienced technician, like those at Innovative Basement Systems, can control the application to create just the right amount of raising pressure), the injection process, benefits, warranty information as well as costs involved. The job was scheduled & completed without any hiccups and the homeowners were very impressed with the lift achieved! A Lake Elmo, MN client called Innovative with concerns of recurring water where basement walls meet floor. After our system design specialist inspected the property and visited with the homeowner, several steps were taken to ensure effective waterproofing. A WaterGuard drainage system, SandiDry high-efficiency dehumidifer and TripleSafe sump pump were installed. Susan R. was searching the internet for more information on bowing walls when she came across Innovative Basement Systems. It wasn't long after that Eric Rysdam was out at the house for a free estimate. Next, primary foreman Shane Smith and his crew came out to install Push Piers and PowerBraces. Push Piers will stop the settlement of your foundation and lift it back to its original position. 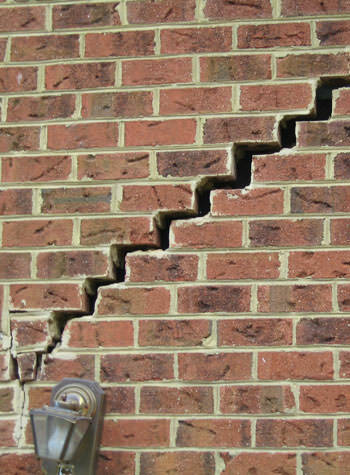 PowerBraces are designed to stabilize failing basement walls and provide the potential to straighten them over time. Since the project wrapped up, Susan's walls have straightened out and become more stable.